Rob Mark recently wrote a post at Jetwhine encouraging current and future students to focus on the value of a pilot certificate rather than the cost. The article is titled “Forget the Cost of Learning to Fly”. When we talk flying though, everyone zeroes in on the cost per hour and little else. But what if we treated learning to fly like a college education or a new car and amortized the cost … spread it out over a few years. What happens next is simply magical. The price of learning to fly begins to look affordable as the raw dollar issue slips to the back of your focus much like minimizing a tab on a browser. You know it’s still there, but it’s just not staring you in the face every moment of the day. As an aviator, I’m quite agreeable to his sentiment. Flying has enriched my life, built friendships, and broadened my horizons through a long series of incomparable experiences. I’ve seen an Unlimited 4-Minute Freestyle from inside the aerobatic box, landed on tiny islands in the Pacific, been north of the Arctic Circle and to the southernmost reaches of South America, attended a World Cup soccer match, and seen Santorini with my own eyes. I’ve flown formation, written messages in the sky, scattered the ashes of loved ones, and done a thousand other things that were made possible by the flight training Mark references. Is there value there? Absolutely. 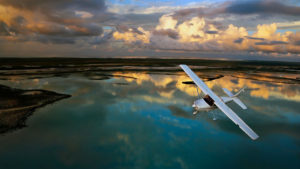 Learning to fly has value — just ask anyone who’s seen something like this from the air. How do you even put it into words or measure it in dollars and cents? Unfortunately, none of that matters. It’s easy to say “forget about the cost”, but actually doing it is far more challenging because in the real world the money can’t be forgotten about. It must be paid somehow. If you don’t have it, it means debt, which can create tremendous stress. And students often underestimate the time, money, and effort required to reach the brass ring. Maybe they thought the resources were in place and it turns out after investing months and thousands of dollars they don’t have enough to get to the finish line. Oftentimes they don’t even know where the finish line is. What we’re really talking about here are perception and priorities. Sometimes a person who would think nothing of buying a $50,000 car or taking a $15,000 vacation would blanche at spending $12,000 on becoming a pilot. You and I might think that’s crazy, but who are we to judge? In my neck of the woods (coastal Orange County, CA), you’ll find many people driving late model 5 and 7 series BMWs, eating at the finest restaurants, and generally living a six-figure lifestyle while living in a small rented apartment. To them I say: go for it. It’s not the way I’d spend my money, but so what? We each have our own perception of value. And sad to say, for many of them aviation isn’t high enough on the list to make the sacrifices required to achieve the goal. I’m not sure letting the “raw dollar issue slip to the back of your focus much like minimizing a tab on a browser” is a good idea. I’ve found that there is tremendous waste in the training process. Often it comes in the form of a student grinding on a single lesson for too long. That can be a CFI failing — not seeking help soon enough in getting the student past the roadblock. Other times it’s a student who just doesn’t “fit” with the instructor. Or a student who keeps going through instructors as each one departs for a new (likely airline) job. Each change sets the student back while they get up to speed with a new CFI. Joining the fraternity of aviators is neither cheap or easy, but once you get there, it can really change your life. My point is that it’s incumbent on the student to watch the budget, and if they’re not achieving the progress-per-dollar they’re expecting, figure out why. Likewise, as an instructor I try to treat the student’s money as my own. I don’t want them to quit. But the fastest way for that to happen is for the student to feel like they’re not getting value for their money. Say what you will about a car, at least you know what you’re getting and what you’ll pay for it. You can compute it down to the penny. Learning to fly isn’t like that. Consider the cost. I learned to fly in ’97 for about $4,000; it took me about five months. People today at the same FBO pay anywhere from $10k to $20k for the same thing. It’s not uncommon for them to consume two, three, or even four years earning a certificate. That’s a huge variance, and it can lead to understandable frustration for the learner. With a wife, son, home, and all the obligations that come with it, I’d never even get past a demo flight if I was a student today. I’d be among the 80% who drop out before finishing their training. Considering how much of my identity is wrapped up in aviation, that’s a sobering thought. Can we transplant our own perception of aviation’s value into someone else? I doubt it. Even if they want to become a pilot, many Americans place higher priority on funding the purchase of a home, car, or degree. Perhaps they’re saving up for retirement or a child’s education. They may be supporting an elderly parent, starting a business, dealing with expensive medical bills or otherwise paying down debt and not keen on the idea of digging themselves back into a financial hole. At the end of the day, the primary motivation for learning to fly must come from deep within the student. There are going to be big hurdles to overcome and sacrifices to be made, and only those who already share our perception of value are likely to reach the finish line. When we encourage folks with other priorities and obligations to set those concerns aside, are we doing them a favor? Or simply setting them up for failure? Guess what? I think you’re both kind of right. 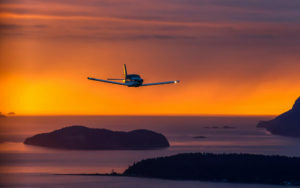 The cost of learning to fly shouldn’t be allowed to dominate your flying training – and I shudder to think how much important and awesome stuff you’d miss if it did – but it would be crazy to ignore it too. The best analogy I can think of is a cockpit scan: You can’t fixate on your fuel gauges and ignore your ASI (or vice versa). A complete scan of all the dials is as vital in the air as it is down at the bank. Call it Situational Awareness 101. Obviously, getting someone else to pay for your flying is the ultimate goal. Only a crazy person would pay for all their own aviating… Crazy with love, perhaps, but crazy nonetheless. How do I know? Because I paid for all mine, and I bought all the flying I could afford. As a non-professional, that investment has now been parked in favour of a roof and kids and food and so on. But I’ve never regretted a cent or a moment of it. Spending thousands on learning to fly has paid me enormous dividends and still does. Apart from the experiences in the moment, I’ve gained a lifelong boost in my confidence and capabilities; a much enhanced ability to anticipate and manage errors and threats; I’m a better driver; a better mathematician; I discovered a latent passion for physics; I impressed the heck out of my (then) fiancé; and loads more. I’ve loved planes since I was a little kid, so I’m sure I’d be blogging abut them whether I had a pilot’s certificate or not. But I certainly monitored every dollar I ever put into flying, and I can confidently report that it was the best money I ever spent. The Jetwhine post had merit, to be sure. We all want to grow general aviation. Need, in fact. But imagine trying to get a pilot certificate with the responsibilities you have today. As you said, you’ve parked that investment, as I most certainly would’ve had to do if I didn’t (speaking of “crazy”) fly for a living. I admire your healthy and mature attitude toward it all. Situational awareness is a good analogy in many ways. Of course, students don’t typically exhibit high quality SA until late in their training. So it is with the care and feeding of the financial side of flight training. I’ve known people who only wanted to solo. Once they had proven to themselves they could do it, the goal was reached and they moved on to The Next Thing. But that’s atypical. Most folks I’ve worked wanted a specific certificate, rating, endorsement, or checkout, and failure to reach the goal was the proverbial raisin in the sun, a dream deferred. I wonder if your attitude about it being the best money you ever spent would be representative of the 4-out-of-5 students who drop out. Some probably feel that way, but I don’t know about the rest. I’m sure it’s borne out of the frustration of expending limited resources without achieving the desired end. Do you think you’ll get back into flying at some point in the future? Interesting point about the 4-out-of-5 who drop out. It would depend how far along they got, I suppose, but perhaps there’s a job to be done in promulgating the kind of value we’re talking about here. I’m sure most people who don’t qualify as pilots would likely have gained a lot from their brush with aviation – but perhaps don’t realise it. Failing to get a pilot’s certificate could still be a long way from failing. Will I fly again? I plan to, and I expect to. There’s not a day I don’t think about it, and the plans all head in that direction. I’m even looking forward to learning everything all over again! I can’t wait to read about your return to the skies. Won’t that be a memorable post — akin to a first solo. There’s definitely some educating to be done about the countless benefits flight training provides. The physical act of flying is such a small part of it. As I often tell people when giving them a demo flight, anyone can do that. They’ve literally taught dogs to fly. No, the good part is everything else. The camaraderie, the view, the sense of accomplishment and purpose that comes with successfully negotiating airspace, weather, and all the rest. Like many of you posting here, airplanes and aviation have been part of my mentality since I was old enough to look up at them. Out here where we live now, few aircraft fly over but when one does we can hear it approaching from far away regardless of altitude. I am willing to DRIVE my new vehicle to a fly in to see old airplanes and visit friends we have made over the years. I was also fortunate to land a job involved in aviation other than flying simply because I had obtained my commercial/instrument ratings, which ended up counting for more than my college degree. I also met a number of USAF and USN pilots in projects over the years. Some of them I keep in touch with on email. So I guess I would tell those who may have to drop out, go as far as you can because it will most likely pay off. Your life experience sounds a lot like mine. With great effort and before I worked myself into a 12-14 hour day job, I got up to commercial, instrument, SEL. My wife and I both worked and she generously paid for completion of the instrument rating just about the time my own finances were depleted. After that we couldn’t afford to own or rent an airplane and when we got back to a point where we could again, the complications of getting current again, time it took, and a minor medical problem and FAA red tape just told us flying was an activity that just wouldn’t make sense for us. Like you however, I learned to be a better driver (my record proves that). I learned a lot about aerodynamics, antique airplanes and helicopters, and gained a lot of lasting friendships. We also had six elderly individuals that we took care of including their business affairs. I suppose I wouldn’t trade my life, I have had a great career, a wife of more than 50 years, and at last a nice home in the pristine mountains. Ironically I could afford to fly now, but again at my advanced age getting current would take a huge effort. We live 140 miles from the nearest airport where I could get an airplane and instructor. My wife isn’t keen on the idea because if I were to crash without her she would be in a world of hurt. I think I could survive the 3rd class medical–LSA doesn’t interest me at all. So we are satisfied with attending some fly ins where we see old friends. We decided to buy a brand new $50K SUV so we can travel safely. I will never forget the wonderful instructors I had, most of them WW II veterans who tolerated little incompetence. We travel 300 miles once a month to enjoy a hangar breakfast with our EAA chapter. All this leads up to the time and money spent on just a private license. Perhaps the LSA license is now the entry level. For that reason it’s great and I hope it works out for those coming after us. My concern is that the FAA will find ways to gradually make it as oppressive as licensed flying has become. All you younger folks out there try your best to keep that from happening. You GET it, Ivan. The value is in the eye of the beholder. It’s all about recognising, applying and appreciating the diverse qualities and skills that are part of the package. You don’t have to fly every day to get everyday value from pilot training. Congratulations on what sounds like a life rich in the rewards. If you choose not to get back in the left seat after so many years, that’s a bold decision too. (Perhaps you can thank pilot training for the decision making skills behind it!) But treat yourself to helicopter ride sometime! On a slight tangent, I think it’s easy for “the aviation community” to under-appreciate the enormous value that aviation enthusiasts add to the mix. That broad bedrock of support is fundamental to (general) aviation’s good health. So travelling to shows, taking photos and making friends is more than just an enjoyable interest. We are all part of the community. Thanks for your reply. Celebrate on! Another interesting and thought-provoking post Ron. Learning to fly can be daunting financially, but you and Rob at jetwhine are correct that the costs have to be put into context. How many people think nothing of buying expensive bicycles, kayaks and other outdoor toys who would happily have put that money towards flying if only they had the passion for it? Perhaps that’s why we need to continue to focus on programs like the Young Eagles who give youngsters and others the opportunity to discover that passion for aviation. Then there will be no need to sell them on the value of a pilots license – they’ll already be sold. That’s a smart idea, Jen — and a proven strategy: “get ’em young”. If you talk to many of today’s pilots, they’ll relate stories of direct exposure to aviation at a young age. On the About Me page of this site, you’ll see a photograph of yours truly on the flight deck of a Boeing 727 as a little kid. Those sorts of events really stick with you when they happen during those early years; everything looms larger than life at that age. Also, the law of primacy dictates that a positive first experience with aviation will last far longer than the negative ones many people have in economy class on major airlines these days. Young Eagles is a major boost for general aviation. Even if the kids don’t become pilots or work in the aviation sector, they’re more likely to understand and support GA pilots, businesses, airports, and infrastructure. An astute observation, Ray. It reminds me of the side benefits of the space program. I visited the Intrepid Air & Space Museum today, and on the walls surrounding the orbiter Enterprise are examples of everyday products we use here on Earth that were originally developed for our manned space program: memory foam, freeze drying, powdered lubricants, cordless vacuums, velcro, and so on. Learning to fly is quite similar. Pilots develop abilities they would probably never have cultivated otherwise. I’d say we are doing both. The responsibility of the CFI/mentor is to genuinely engage and focus to give each student a fair shot at inspiration and success. If you are trying only to grab your own brass ring and going through the hour building motions with students you are doing a disservice to your profession. And to be more explicit, the difference between a profession and a job is that responsibility you shoulder when making decisions for your clients that affect them before they have real understanding of the consequences of those decisions. Hence you guide them along into something (of their naive choosing) before anyone can be certain that it is appropriate for them. Risk to get reward. It’s true that as instructors, we cannot ascertain in advance how appropriate flight training is for any particular client’s circumstances. That’s ultimately their own responsibility. The best we can do is educate them honestly on the realistic requirements necessary to achieve the goal. I say “realistic” because many FBOs and CFIs will quote the FAA minimums to them. I wish more of us treated instructing (whether we’re CFIs or not) as a profession rather than a job. It makes all the difference. Thank you for another thought provoking article. I’m a 57 year old professional, divorced woman…who grew up in the right seat of her father’s plane. Went to college and became friends & flew with Al Klapmeier in his 140 while at school. Now the nest is empty & I reviewed the list of regrets….and my PPL is at the top. With retirement looming, I struggle with the cost I’ve been provided by local FBO’s and can only find 22 year old CFI’s (want a crusty one). However, I don’t want to spend my retirement years watching planes fly over and wishing I was in one floating over the beautiful farm fields of Wisconsin. There are crusty old instructors out there, but they’re further and fewer between than they used to be. You can still find them if you shake the bushes. I encourage as many older charter, airline, and other pilots as possible to give back to the profession by teaching. They’re sorely needed, both to teach the upcoming generation of aviators and to mentor young instructors. You could also pursue gliders, which are less expensive than powered airplanes. Some light-sport type airplanes (Cub, Citabria, Champ, etc) are relatively inexpensive to operate. I wonder if the 99s or Women in Aviation International might have a scholarship with your name on it. I’ve checked with local flying clubs…they don’t want students …probably due to insurance. With the aging pilot group…I’m hoping for a nice hangered 172/180 to hit the market. Fell in love with the new CubX just announced…love the Icon5….perfect for all our lakes. I’m checking outlying FBO’S for older CFI’S too…will see. I do think aviation is missing it with ladies…Harley Davidson, Trek bicycle, even my downhill skis…all targeting women. But the biggest influence was flying with my Dad…yes get them up while they are young. Thank you for all your great stories! I am a 51 year old pilot who got his license 2 years ago. When I go flying and hang around airports, I feel like a kid, not because of the way flying makes me feel, but because everyone around me is 10 or 20 years older. GA flying has sadly become the realm 50 year old hardware and 60+ year old pilots. There are a few exceptions to this. I think the LSA category has done a lot to at least get some options for new aircraft out there. The other is Experimental. However, I am currently building an RV9 and when I look at the standard engine options available, I am looking at 80 year old technology. Is there any other consumer product where 80 year old technology is standard? Look at how much cars, motorcycles, and boats have changed in the last 10 years. No wonder kids are not interested in flying these days. It is basically a bunch of old guys flying musty airplanes. That being said, I think there are some things we can do. I think having some high school shop classes that build a Sonex or Zenith as class projects would go a long ways. Kids could see that with a couple of friends they could assemble a new airplane that has pretty good performance that they could afford. Once we get them hooked, they will develop a taste for old airplanes and an appreciation for old pilots. There are modern power plant options for your RV-9. Subaru conversions, for example. Those have had some problems related to the gearboxes and whatnot, but there are other possibilities if you want something newer. Like you, I often look at our 80 year old engine technology and wonder why we don’t have something more up-to-date. I believe part of the answer is because of the high level of reliability we want in an aircraft engine, especially when there’s only one power plant on the airframe. It reminds me of the space shuttle computers: they were essential for operating the orbiter, so NASA didn’t go with anything new. The used the AP-101, which is a mid-60s design, and a derivative of the ones used in the Apollo program. They used that system (with minor upgrades) until the shuttle was retired in 2011. On its last flight, the space shuttle was flying behind 50 year old computer technology. Why? Because computer reliability was so critical that they didn’t want the newest or the most powerful. They wanted what worked and what did the job. The same is true with piston engines. You’ll find turbodiesel engines on modern GA airplanes like single engine Cessnas, Diamond TwinStars, and so on. But beyond that it gets into turbines. The market is small, and there’s not enough monetary incentive to invest in a whole new generation of clean-sheet reciprocating power plants. Your idea of high school students building kit planes is a good one. There are a number of schools where that is already happening. First of all that was a great article you wrote. It has elicited a lot of thoughtful responses. I hear what you are saying about the space shuttle using 60’s computer technology in the 80’s, but that is only 20 year old technology, not 80 year old technology. The LSA market has done a lot to help the situation up to 100 HP. The new Rotax engines are at least a significant step forward in technology. There are also the Viking engines for the experimental markets. There is a bit of a past there, but that does not disqualify them as a viable option. I have looked at the possibility of the new Gemini diesel for my RV. The problem is, I may only have one shot to build this airplane and get it right. I could easily burn through 2 or 3 years and $30k if I make the wrong engine choice. That could easily end my dream of building a flying an airplane. There is an add on Barnstormers where a guy is selling a plane he built. The engine (a Subaru conversion) failed and he deployed the parachute system he installed. He sounds completely demoralized and just wants out. I get that innovation is hard work and a significant risk for a company. I own a small company and we bet the farm on innovation several times per year. It is how we survive. If I knew a little more about engines, I would consider getting into the business. An entire brand new Honda Accord engine costs what, about $3k to $5k? That is about what a new crank would cost for a Continental 0200. It would also be hard to sell the idea that the Continental was a more reliable engine. I realize there is the economy of scale, but there has to be a way to reliably put a car engine into an experimental airplane. So then I’m assuming all of your kids went to, or will go to, the local junior college down the road because at the end of the day, a college degree is a college degree and it’s sure a lot cheaper. Me and millions of other parents must have been real idiots then to convince our kids to work hard in high school so they might be accepted at a decent university. C’mon … it’s never been that simple. what I was saying is that people who scream it’s always about the money are only partially right. Seriously, I think “airscapemag” said it best. Value, like beauty, is in the eyes of the beholder and we need a blend of both. Sure flying’s expensive. Forty years ago though, I had students tell me $15 an hour for a Cessna 152 plus 10 more for me at the instructor was killing them. It’s never a black and white issue. I just watched my niece become a doctor and leave school with a whole lot more debt than what it costs to learn to fly. Like it or not, you can’t even buy a car today for what it costs to earn a PPL. I still believe in something you did mention about the quality of the instructors though, a topic Jim also touched on, because it’s part of the great balance of cost versus value. I don’t meet too many instructors these days with a passion to teach. They have a passion to fly, but not teach and they’re as different as night and day. Pretending the quality of the teachers is only one small part of the problem is one of the biggest fallacies of our industry. Having taught at the university level too, I can tell you how tough it is to keep graduate students focused, even when their parents are paying much of the bill. But when instructors treat students as if they are just a stepping stone, it hurts us all, badly. Just like holding a half dozen type ratings doesn’t mean you’ll ever be a good captain, earning a CFI doesn’t make you a teacher. 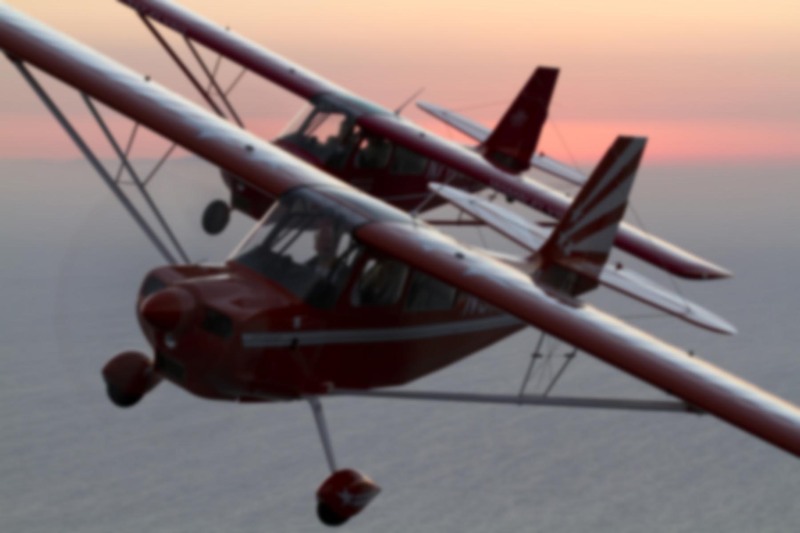 Flight schools seldom offer new instructors much guidance when they begin either. To this day though, I can tell pretty quickly when I fly with another jet pilot if being a decent instructor was part of their upbringing. I find these pilots realize what someone taught me years ago in the Citation … every first officer is a captain in training. There are some captains who are going to teach you by showing and explaining. Others will teach pilots by showing them how well they fly and little else. They were all trained by some instructor somewhere. It’s funny you should mention the college thing, because my wife (who already has a Bachelor’s degree) went back to school to pursue a career as an Occupational Therapist. She graduated from that program just last week. When we were looking at schools a few years ago, she had the option of A.S. or M.S., and chose the community college because it was $100,000 less expensive. We penned out the cost of financing the Masters degree, the additional salary she’d earn with the higher credential, and concluded she would never make up the difference. Having said that, I’m not sure your college example is germane. A private pilot certificate costs $10-15,000 pretty much anywhere you go. That’s what you have to pony up. Colleges vary from a few thousand dollars a year to $60k or more (hello, Columbia). College usually provide extensive scholarships to a wide variety of students — often full rides to the best ones. In other words, you get something you won’t find in the world of private pilot training: financial options. The point is, whether you want to get a college degree or a private pilot certificate, the money issue can’t be set aside no matter how great the value, because you have to pay it in order to get in the door. And with flight training, my experience is that money is the #1 issue driving students out, or keeping them from starting in the first place. Recognizing the value is important, but that recognition cannot pay the bills. Believe me, I wish it could! Since you mentioned college, let me reference the incredible loan burden many college graduates are saddled with. The guy who’s my FO on the Gulfstream came out of college with six figures of debt. He lived in Afghanistan for five years working for a military contractor in order to pay it off. I frequently fly with a student who owns an SR22. His wife just gave birth to a daughter, and he just finished a Master’s. He said when his daughter graduates from college, he won’t even be close to paying off his own student loan. So I would say those who yell about how the money is stopping them are more than partially right. It’s not that they couldn’t find a way to make it happen. With credit cards, I’m sure they could dig out $15k. But the consequences could put so many other aspects of their own lives — and that of their families — in jeopardy that it becomes a moral question. I would argue that you absolutely CAN buy a car for what it costs to earn a pilot certificate. Maybe not a brand new one, but I could get a pretty nice car for $15,000, one that would be clean, safe, and get me around for the next decade. Actually, scratch that — I just looked at car prices and Chevrolet has THREE new cars I could buy for that price. The Spark, Sonic, and Cruze. Are they the most glamorous? No, but they’re new. Regarding the flight instructors, I think we’re in violent agreement there. We need more of them with a passion and talent for teaching. So we’re back to where airscapemag left us. It’s got to be a balance. I actually wasn’t trying to compare the cost of college to learning to fly, only the decision process. Some folks choose to buy that $100K car, some travel more and some buy a boat. All of course assume you have the cash or the means to do it. I still believe though that if someone wants to learn to fly, they can find a way like the folks we’ve sent to Pilot Finance dot com. You can spread the cost of learning to fly out over a couple of years with repayment amount in the $400 a month range for various time periods. While I’m not endorsing that company, my point is that if someone tells me they want to learn to fly and the ONLY thing in the way is money, I’ll send them there, or suggest some other places for them to research. If they think these kind of repayment terms are too high, then I assume they really aren’t that interested anyway. I do think it’s incumbent on good CFIs to have a few options for people with finance questions though and not many do in my experience. I asked a bunch of CFIs here in Chicago a few months ago about paying for training and every single one said they have no idea what to tell a student who asked about paying for training. I think that’s a crappy answer myself. Anyway, fly safe and don’t forget to put the gear down. What model Gulfstream do you fly BTW? That IS a crappy answer. At the very least, it should be “I have no idea — but I’ll find someone who does and get you some information”. We all appreciate CFIs who admit when they don’t know the answer to a question rather than faking their way through it, but offering to find the information conveys interest in and concern for the student. It’s a tough nut to crack, because the answer is always changing. There used to be a wide variety of finance options for flight training, including the G.I. Bill, Sallie May, and a huge list of private lenders. Most of those went away after the financial downturn, though someone told me the other day that GI Bill funds are again acceptable for flight training. Good tip on the landing gear! I fly the Gulfstream IV-SP. Aside from the PlaneView avionics suite, it’s essentially identical to the G-450 you flight tested for that P1 Magazine feature. Is there anything worse than someone who gives you a yes/no answer? I did like the 550 too … especially those steep banks at FL490! only going to comment on one thing…the cost thing. You mentioned private pilot costing 10-15K pretty much everywhere..
well lets be creative here. say you are a young kid,,Like me, 40 years ago. I got my ticket thru explorer scouts. $650.. instructors donated the time…the club owned the planes…we paid the “wet rate”. $12-16/hr occasionally $21 if I had to go outside the post planes. the other option I had was Civil Air Patrol…just about as inexpensive. I was lucky enough to get the rest of my ratings in the Navy for 10 years as a carrier pilot…then off to UAL for the last 22 years. Others friends of mine in the explorer outfit went Air National Guard. Some joined Navy ROTC in College. buy an inexpensive plane with 4 friends, get an old fart to volunteer to train you and hooray…you is a PILOT.